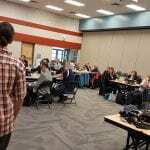 Last Friday, CTV and City TV dropped by our studio to cover the Manitoba Teachers’ Society’s professional development day. eTV and Teacher Education instructor Eva Brown hosted a lecture on emerging technologies in education, specifically in regards to drones, virtual reality and interactivity and games in education. 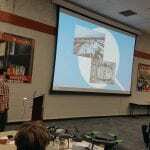 This professional development day offered teachers the opportunity to experiment with these emerging technologies. 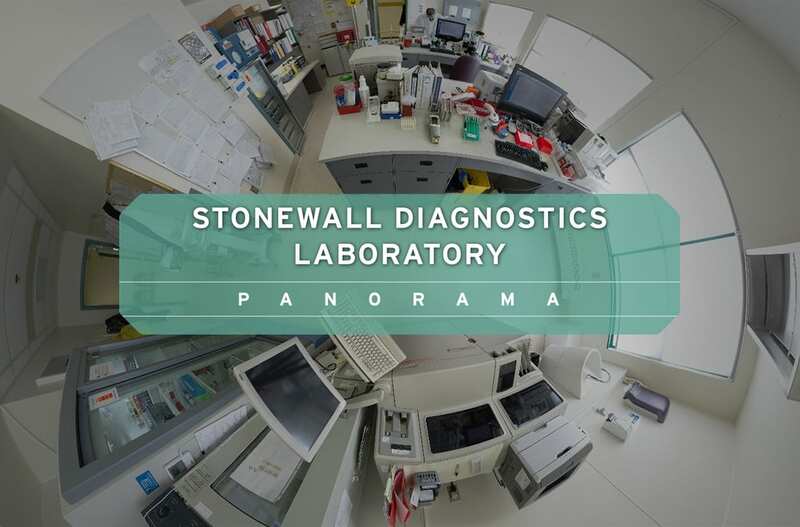 Over the past two years, eTV in partnership with the Medical Laboratory Sciences department has created immersive and interactive panoramas for three Microbiology Laboratories, showcasing different clinical environments: Red River College (educational), Westman Labs (urban), and Stonewall Diagnostics (rural). The success of these Microbiology panoramas has been recognized by students and professionals on a national scale. The clinical setting for medical laboratory science students is diverse and unknown. Many of these spaces are restricted access to the public, so familiarizing/orienting someone to these environments is challenging. A student may not understand or comprehend the laboratories function within a rural community, which is drastically different then the tertiary facility. The panoramas allow for the exploration and understanding of these different environments that would otherwise be restricted. eTV captured the energy and excitement of Red River College’s inaugural Applied Research & Innovation Day, a celebration of student projects and achievements in applied research and innovation. Students presented their applied research projects, many created through company and community partnerships, to over 600 guests, including industry leaders from the private and public sector. Watch eTV’s video below to get a feel for this inspiring new event! Wow! We talk about Virtual Reality as an immersive technology and we certainly were immersed in it over the last several weeks. 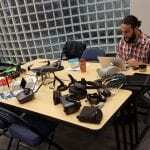 With numerous tours through our studio combined with MADLaT (Manitoba Association for Distributed Learning and Training) and RED Forum presentations that focused on new technology, VR is buzzing around eTV and Red River College. And why not – this technology is brimming with opportunities to enhance the teaching and learning process in a very powerful way. eTV continues to be at the forefront of VR development here at RRC and as always we welcome any interest that will help forward this exciting technology. Congratulations to all Red River College winter 2017 graduates. Once again eTV streamed the event live from the Centennial Concert Hall to hundreds of viewers all over the world. This year international views made for 40% of our viewership highlighting Red River College’s reach around the world. 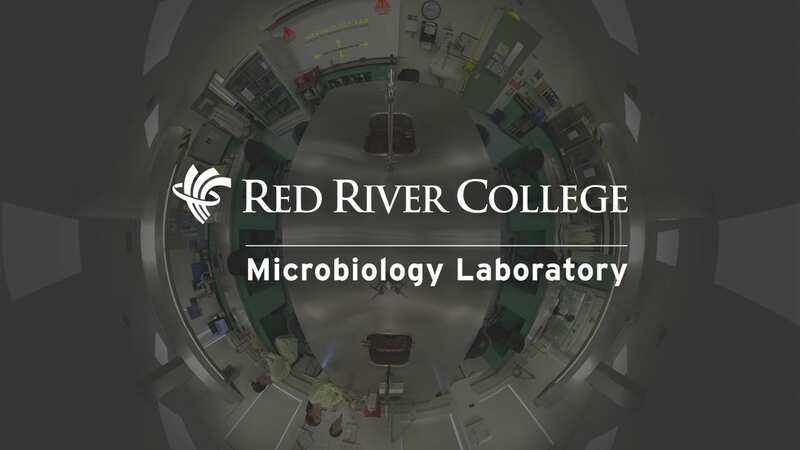 Below you also find a sample of our live (piloted) 360 degree video stream which promises some exciting opportunities for education and communications at Red River College. Thanks to everyone who came out to our next-gen VR presentation last week. We enjoyed sharing our work and passion with you and look forward to further exploring all the possibilities this tech. has to offer in a teaching and learning environment. As the leader of VR development at Red River College, eTV Learning Technologies invites all educators, administrators, directors, executives, etc. to work with us on this exciting opportunity to advance innovation and teaching excellence at RRC. This past weekend eTV travelled to Saskatoon, Saskatchewan with Medical Laboratory Sciences instructor Michele Sykes. This was to present the Microbiology Panorama project at the Saskatchewan Society for Medical Laboratory Technologists (SSMLT) Fall Conference. SSMLT is an annual professional development event for medical laboratory professionals in Saskatchewan. 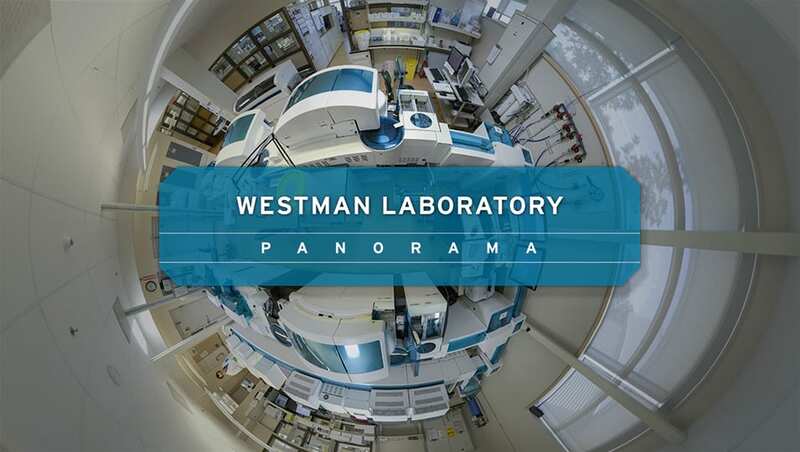 The event was well received with the delegates exploring the project and being introduced to the Westman Laboratory Panorama as an opportunity to use the technology within industry. Following the presentation individuals and industry representatives commended the project and its tremendous potential. On Oct. 12, students from Garden City Collegiate visited eTV for some hands on experience with Oculus Rift and VR technologies. 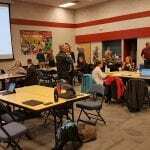 There was a lot of buzz and excitement in the room about these new technologies that offer highly immersive learning experiences for students. Paul Vogt, RRC President and CEO, was on hand to welcome the students to RRC and to witness their enthusiasm for these innovations that will soon become standard practice in many classrooms. The event hosted by Teacher Education was also an opportunity for pre-service teachers at the college to experience authentic, inquiry based teaching.